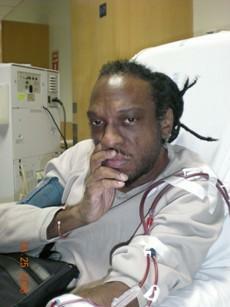 Anthony Cottman is ecstatic to announce that he will receive a kidney on June 25th 2009. The operation will be performed at Mt. Sinai Hospital East 98th Street and Madison Avenue. A wonderful woman whose name is Nancy, a native of Pittsburgh, PA will be donating one of her kidneys to him. The pair came to know each other through Chaya at The Kidney Mitvah.. Chaya herself gave one of her kidneys to someone in need. She saw the great need for organs and she formed the Kidney Mitzvah. Anthony is raising money to pay for uninsured medical expenses associated with his kidney transplant. Anthony lives in Brooklyn, NY and is being treated at Mount Sinai Hospital. Anthony has chosen to fundraise with HelpHOPELive in part because HelpHOPELive provides both tax-deductibility and fiscal accountability to his contributors. Contributors can be sure that funds contributed will be used only to pay or reimburse medically-related expenses. To make a contribution to Anthony’s fundraising campaign, click the “Contribute Now” button. To email this page directly to others in your community who might wish to learn about Anthony’s campaign, click the email button and type in as many email addresses as you wish. Hope you have a speedy recovery. Made my contribution today under your name. I met Nancy in 1981. I am so glad you met her this year!! !